In an ideal world, many parents believe that kids shouldn’t really need to visit gyms. But, the fact is, life is different now. Many kids grow up in inner-city townhouses and apartments with no outdoor space to do the basic level of activity that healthy kids need – and love. And for working parents who need to leave their children in extended care – either at childcare or in after-school programs – the opportunities to access very active sport are limited. To help parents deal with that – and to give active kids an outlet to get moving, no matter what the weather, the kids’ gym phenomenon has become a thriving business. It bills itself as Australia’s leading sport and fitness program for kids and the founder and Managing Director is Sam Wood – a leading media commentator on good health and fitness for people of all ages. If you’ve missed the start of the school term, don’t worry – the way the programs work here is that a new one starts each week. Class sizes are small, with Gecko Youngsters aimed at 5-8 year olds and Gecko Midsters for 9-14 year olds. It’s a non-competitive approach to fun fitness for kids of all shapes and sizes across a variety of 10 programs including mini olympics, team challenge, soccer world cup and athletics day. Coaches provide an online report card to help parents understand fitness achievements. 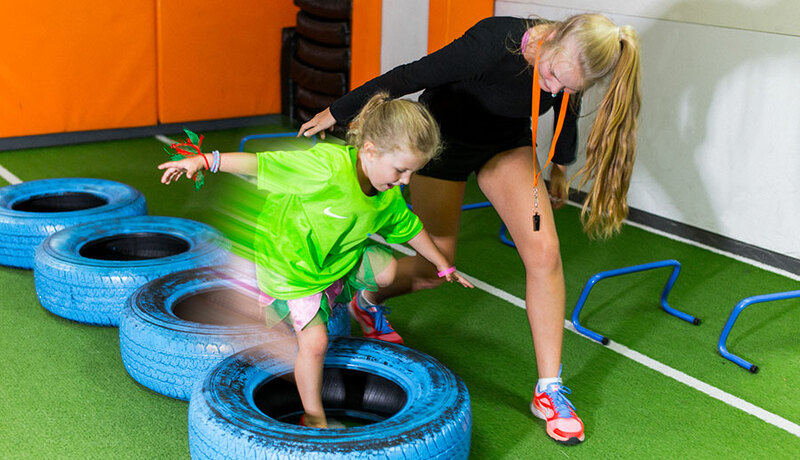 Although this Brighton location is the original kid-focused gym in Australia, GeckoSports now has locations across Melbourne and Victoria – and Australia. FitnessWorx has two venues with fitness classes for kids in Melbourne – at Mitcham and Mordialloc. Pre-school classes aimed the kids aged 3-5years old are daytime session that are designed to help kids master basic movement skills and have fun at the same time. By developing better agility, balance and coordination, kids become more confident and build strong bones and muscles – for a lifetime of better health. A range of classes on offer to this age group cover everything from circus skills to ball games, as well as dance and movement. In the older age bracket, after-school and Saturday morning sessions cater to the 5-13 year olds, with a timetables that takes in more challenging fitness training, including cardio and strength training, yoga and the active challenge of Parkour. With so many class types and times available in different age groups at two different venues, it’s worth exploring the website to get all the details you need. Kids’ Pilates classes here are offered as private or semi-private (2 participants) and aim to help sedentary kids stretching and moving – as well as focusing on pure fitness and flexibility for athletic kids who want to get the edge over their competitors in dance or sport. At its core, though, Pilates is about creating good posture for better strength and long-term improvements to fitness and good health. It’s intense fitness, delivered in a gentle, focused way. Private sessions run for 40 minutes. Semi-private classes run for 45 minutes. Children should wear loose, comfortable exercise clothing and clean socks. Gripperz socks can be bought from the studio reception. Bookings are essential. Krav Maga is the self-defence technique favoured by the Israeli Defence Force but in this setting, it’s an intense workout, with a focus on helping kids protect themselves from unexpected threats, including techniques for escaping an attack. Three different age groupings are on the timetable, with classes for juniors (age 5-8 years old), kids (aged 8-12 years old) and teens (aged 13-15). There is also an advance class at the kid level for little ones who work their way up through the fitness ranks. Pumping iron or bopping to aerobic beats isn’t for everyone. This is a workout with a difference in a relaxed setting that is as much about mental wellbeing as it is about physical energy. Have you heard of anti-gravity yoga? A range of classes cater for kids over the age of 4 years old and the fitness focus is part circus skills, part mindfulness, as children work with their balance and coordination to have fun with tumbling, trapeze, aerial yoga, ropes and silks. You won’t see a treadmill of chin-up bar in sight but there is lots of friendly colour and fun things to play with – all aimed at getting young bodies stretching, bending and moving towards better health. Teenagers often have serious body image issues and to help them feel more in control – and confident – these teen fitness classes offer a dedicated program for kids between the ages of 13-16 years old. It’s a program especially designed to keep growing bodies strong, with a focus on cardiovascular fitness, functional strength and balance and improved flexibility. The teen gym program runs during the school term, Monday-Friday from 3.30pm-5.30pm. It’s also running during school holidays from 12midday-5.30pm.